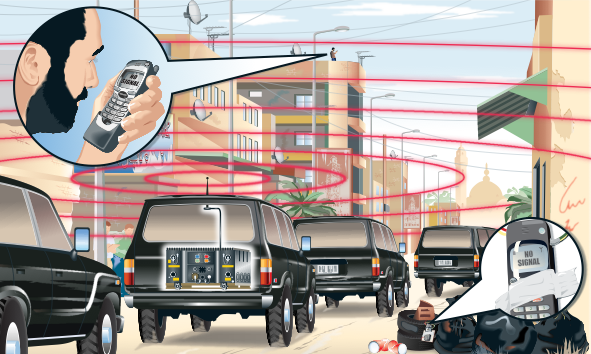 An Illustration showing how an electronic jammer can block all mobile phone calls including a call to trigger an IED, while a convoy carrying the VIP can speed through safely. A short schematic of part of the Normandy defences. In 1942, Hitler ordered the building of the Atlantic Wall, a barrier to stop the expected allied invasion. 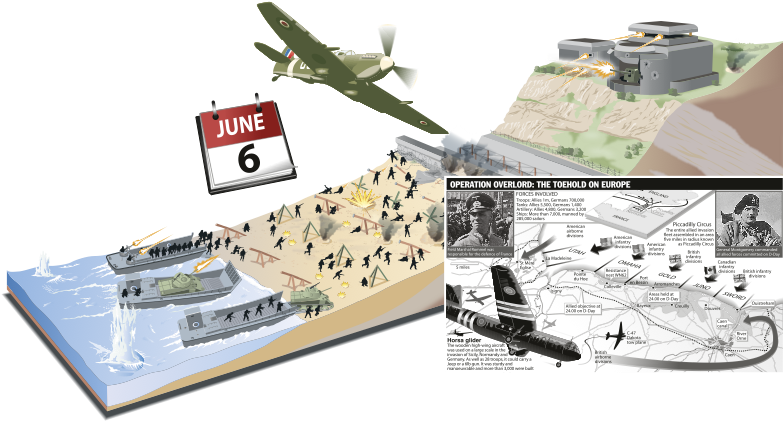 All of the D-Day beaches had obstacles installed, though some were more effectively blocked than others.